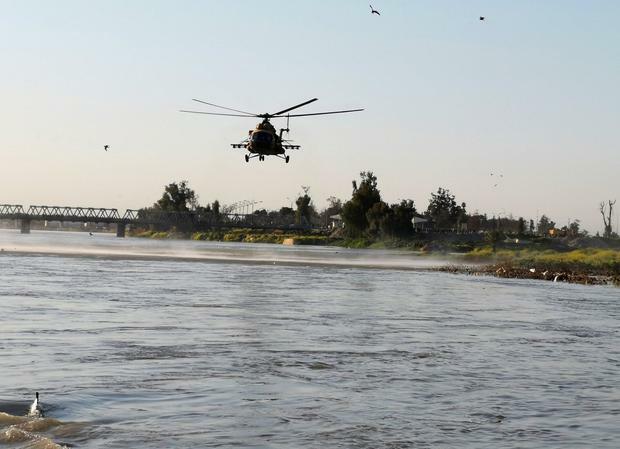 A ferry overloaded with people celebrating the Kurdish new year sank in the Tigris River near the Iraqi city of Mosul yesterday, killing at least 55 people, mostly women and children, officials said. Col Hussam Khalil, head of the Civil Defence in the northern Nineveh province, told the Associated Press the accident occurred as scores of people were out in a tourist area celebrating Nowruz, which marks the Kurdish new year and the arrival of spring. Health Ministry spokesman Seif al-Badr said the dead include 33 women, 12 children and 10 men. He said 30 people were rescued, adding that search operations were still under way as it was not known how many people were aboard the ferry. Col Khalil said the ferry sank because of a technical problem, and that there weren't many boats in the area to rescue people. He said more than 80 people were on the ferry when it sank. The river's level was high because of a rainy season that brought more precipitation than in previous years. Nowruz, or the Persian new year, dates back to 1700BC and incorporates Zoroastrian traditions. It is celebrated across territories that once made up the ancient Persian empire, stretching from the Middle East to Central Asia. Josie Ensor A New Zealand nurse kidnapped by Isil in Syria more than five years ago may still be alive, says her employer the Red Cross, breaking its silence in attempts to find her.